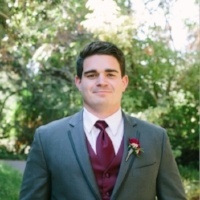 Max is an Employee Retention Specialist in our Bay Area office, spending most of his days remotely in San Francisco. He tries every day to look at the way customers are being served and how every aspect of his work can be changed to better serve them. When he’s not at work, he is either on some kind of board (snow, surf, etc. ), or outside enjoying sports and music whenever he can. Max Graduated from San Francisco State University (BA) and Walden University (MS) with a focus on ethical and sustainable business practice and human resource management.